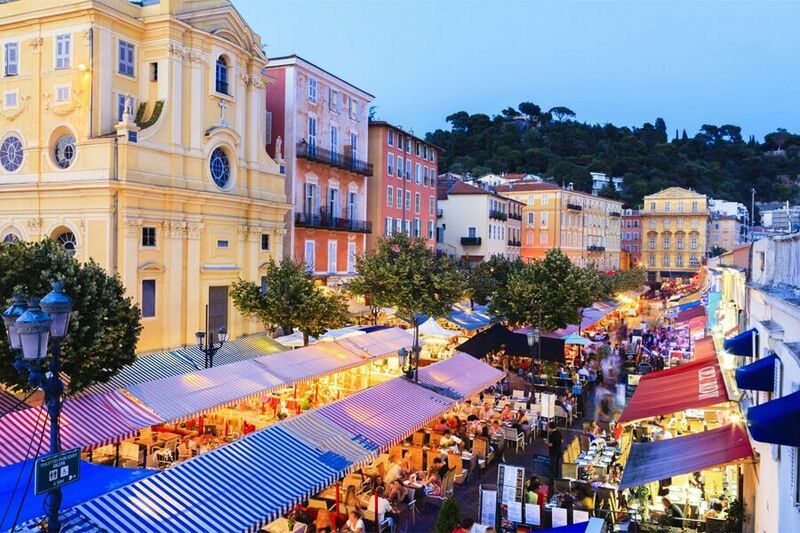 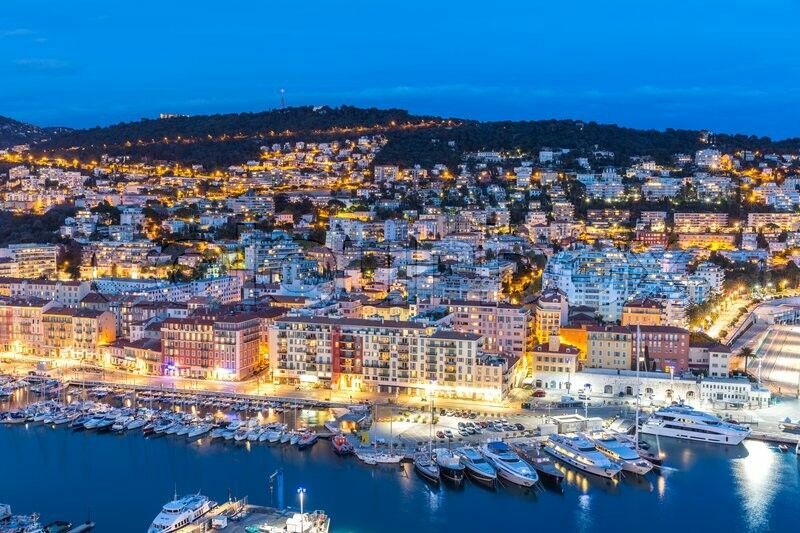 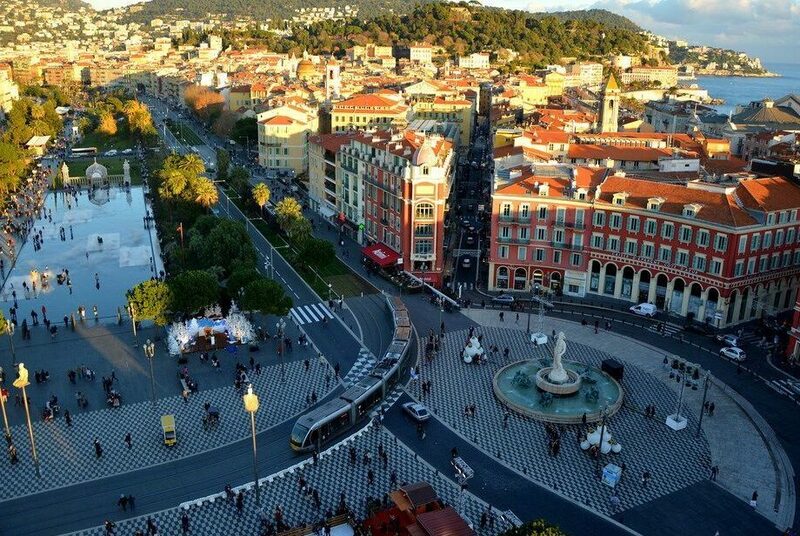 NICE/PORT : In the residential area of the Port of Nice, close to shops, restaurants and beaches. 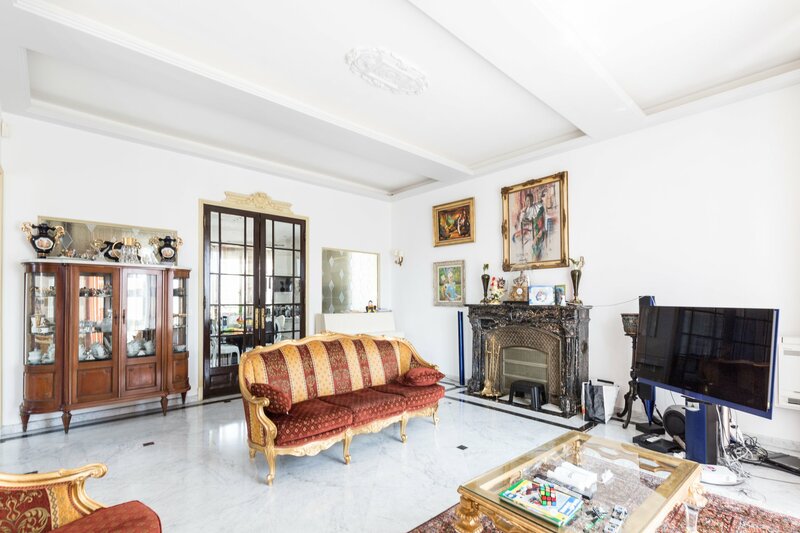 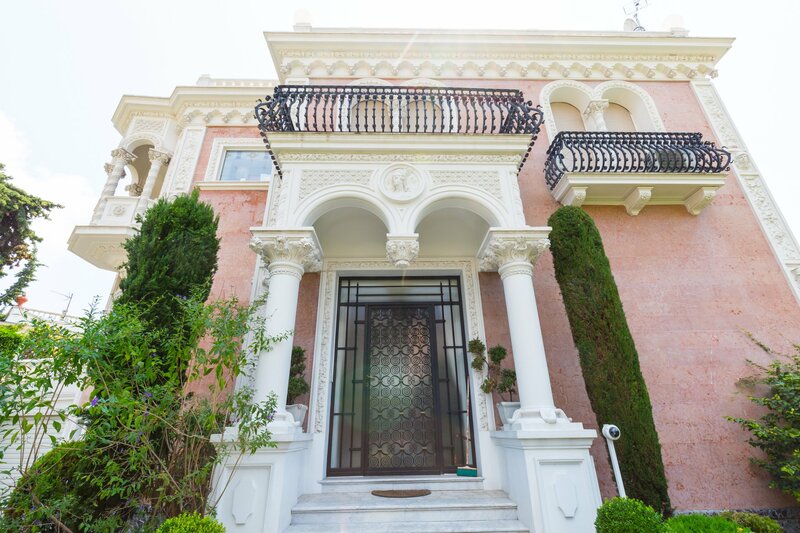 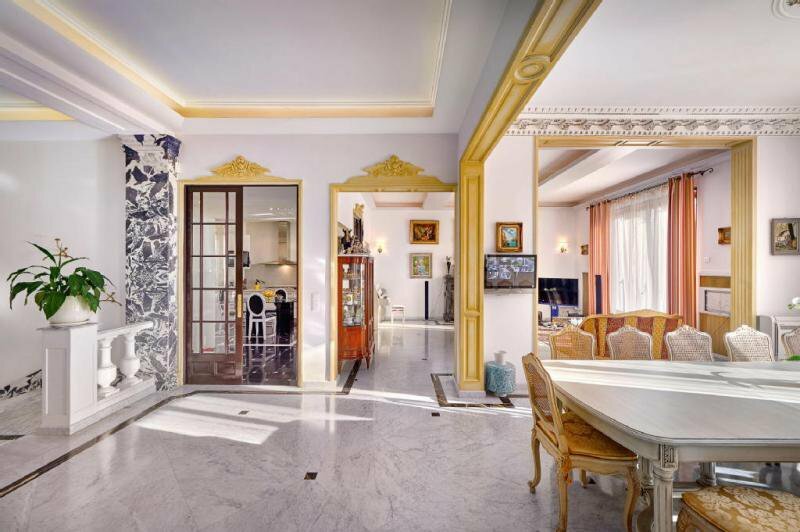 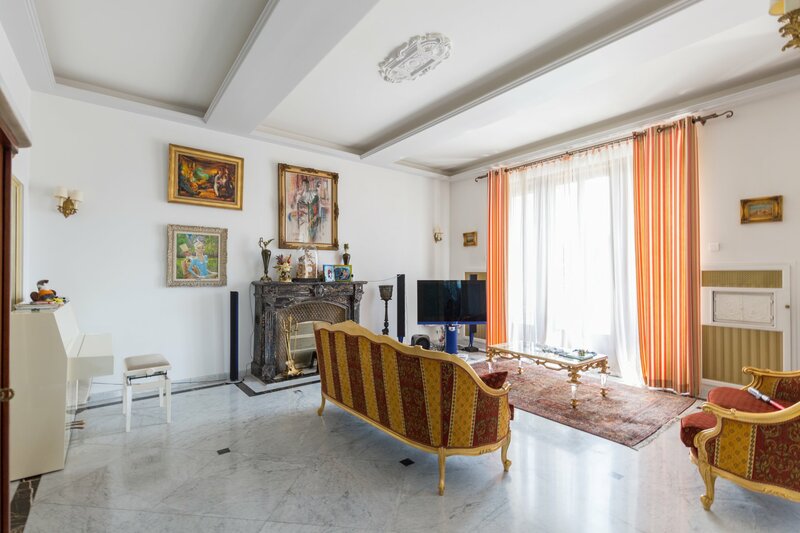 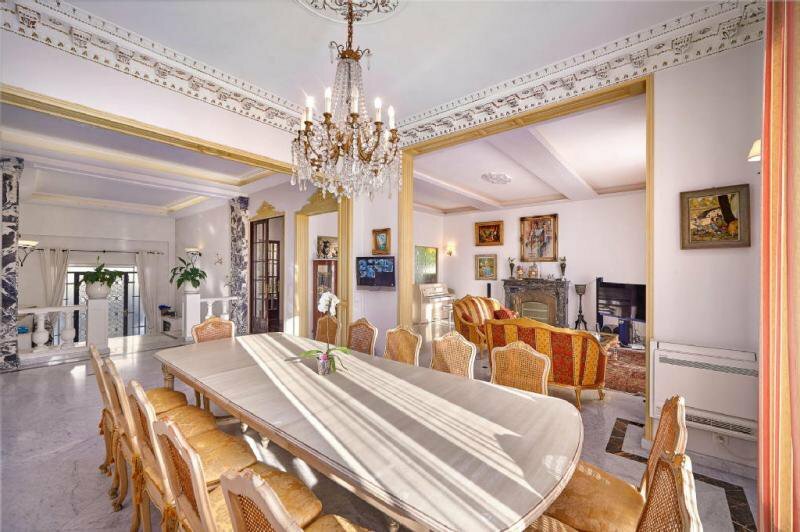 This house has a very rich history, thanks to its remarkable architectural Italian style. 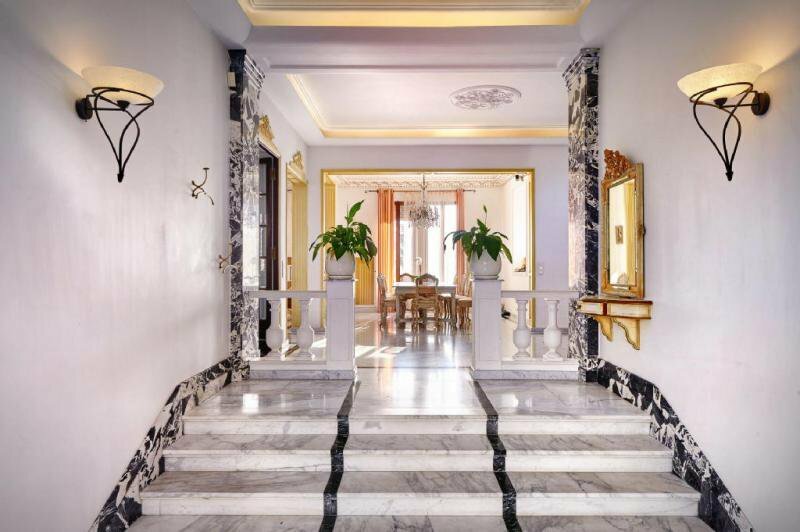 The facades are made of marble from Verona with sculptures of great historical figures. 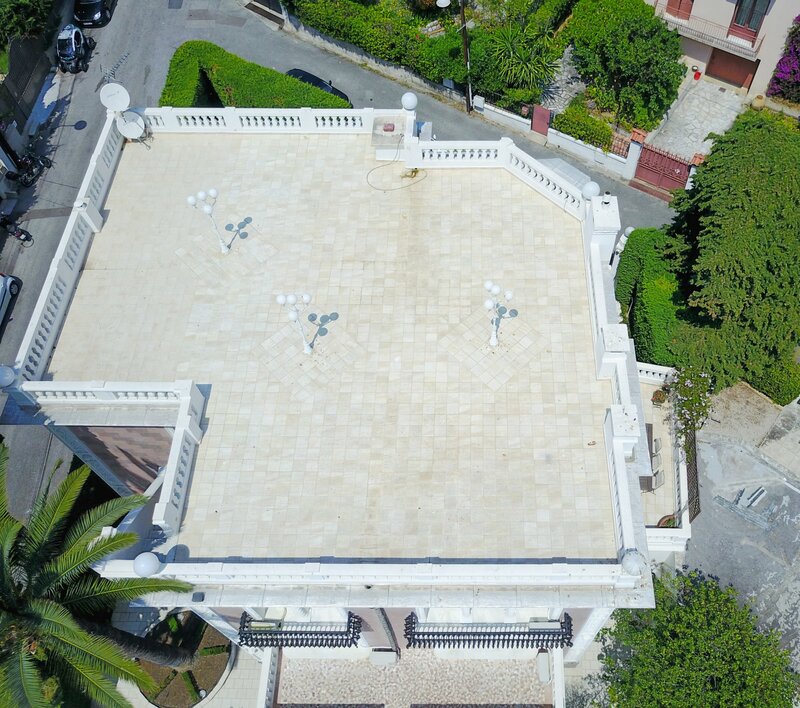 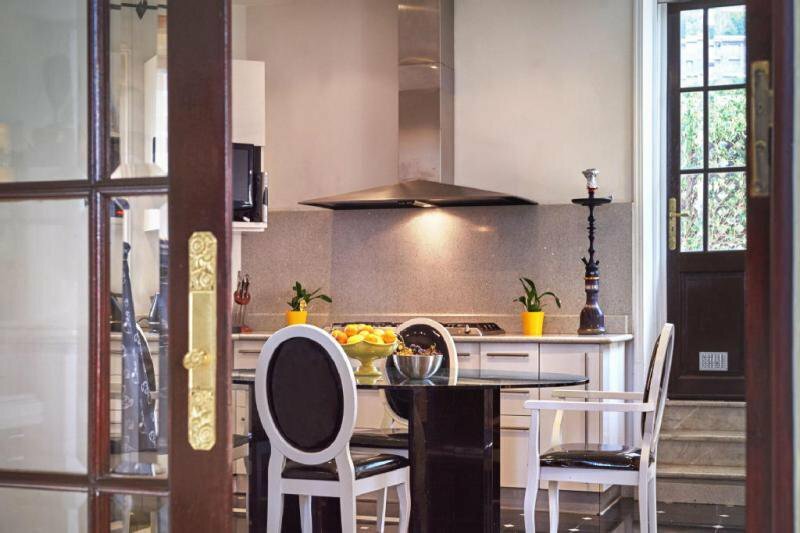 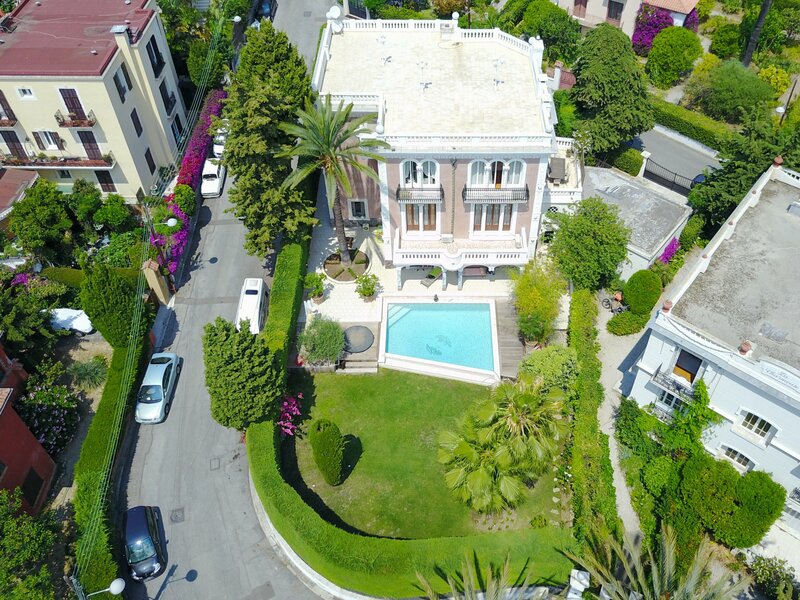 The villa consists of three levels with the surface of 450m2 and a spacious roof-terrace of 165m2 with panoramic view, garden of 850m2 with swimming pool and Jacuzzi. 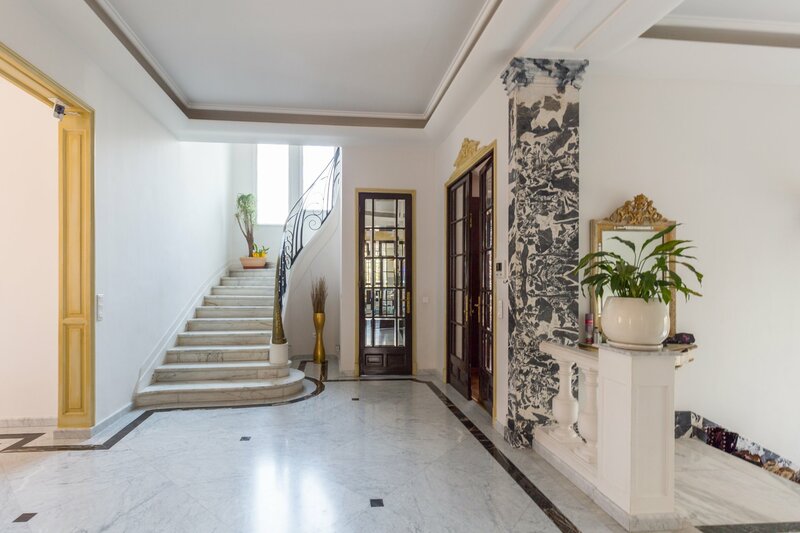 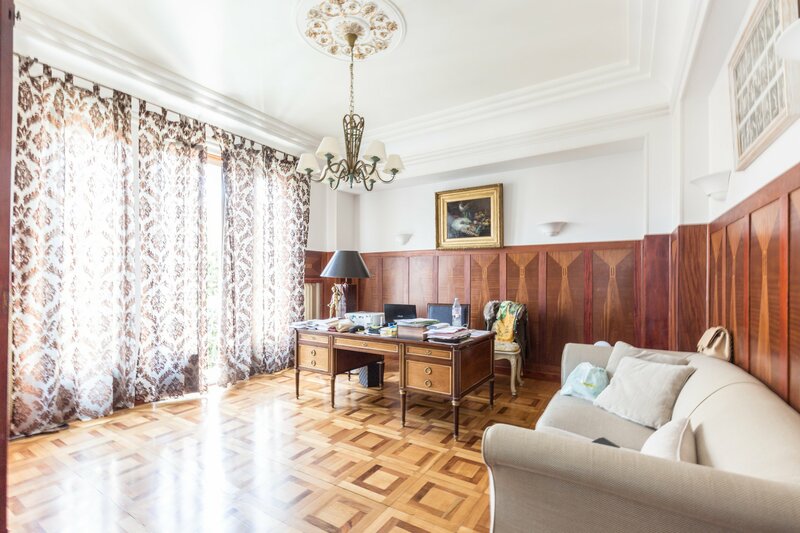 At the reception level there are – a spacious entrance hall with marble staircase, a living room and dining room, an independent kitchen goes onto a terrace, an office and a guest toilet. 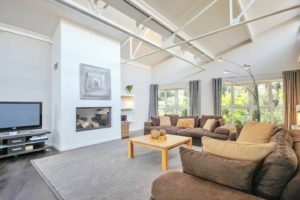 On the upper level – a master bedroom ensuite with its dressing room, three other bedrooms with two bathrooms. 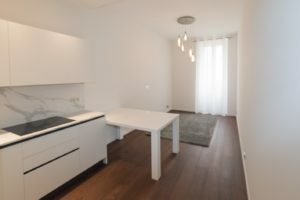 At ground level – an independent apartment with living room, an american kitchen, two bedrooms, a bathroom, a shower room, a laundry, an access to the garage and garden with swimming pool and Jacuzzi. 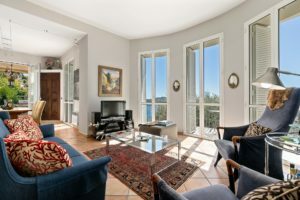 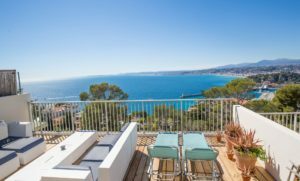 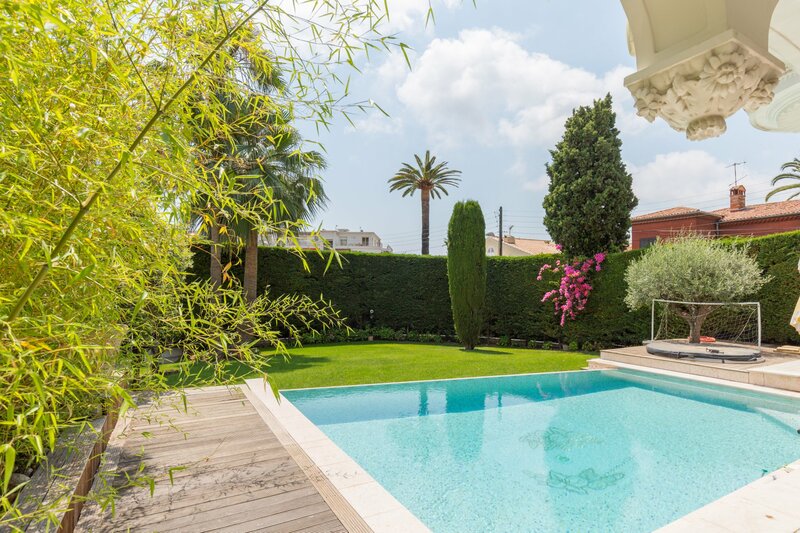 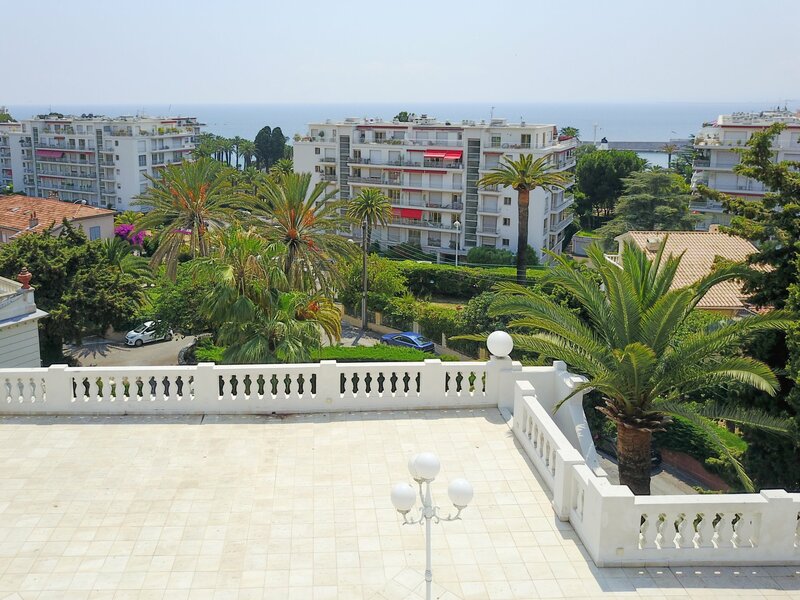 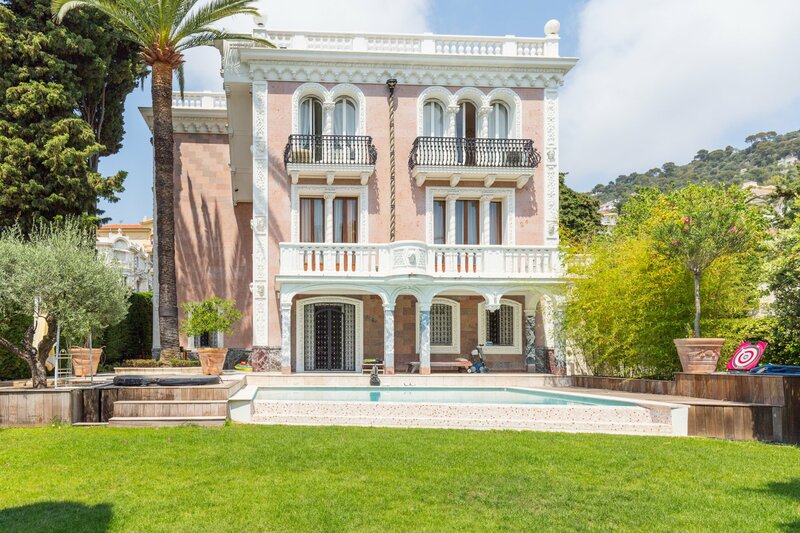 The property is in a quiet area within walking distance to the sea and the Port of Nice.